There are many interesting topic related to the new generations of China's single children 独生子女 (dúshēng zǐnǔ). Leaving a side the emotional pressure they experience and China's demographic concerns, here are some basic terms that describe the 'spoiled' character of Chinese singletons. Is it true that singletons have more mental problems than kids or teens who have siblings? Probably not. There are obviously some emotional and cognitive aspects which are generally more developed in singletons while in some aspects they remain slightly behind. Still, in this day and age much more attention is given by Chinese parents, public discourse and the government to the 'quality' of the population. Terms judging the psychology or mental quality of children are expressed quite often in relation with singletons. What can be done with China's little emperors?! When one child is the focus of two parents (sometimes four grandparents as well) and is the only hope for succeeding the family line, as well as the only future support for the family elders, can the rest of the family help but spill all the love in the world on him or her? Discipline is important, but the love and caring emotions parents feel for their children cannot always be restrained. Furthermore, since the family's future wealth is largely dependent on the child's success in school (improving his or her chances for achieving a meaningful career later on significantly), families will sometime do anything possible to provide him or her with the best growing conditions. Grandma will eat less, mama will sleep on the floor, papa will save his savings on a new pair of shoes for his cherished one, as long as our '小皇帝' could have the perfect conditions to focus on his or her studies. The concept of filial piety still exists, though it is sometime reversed by the young child. The problem is intensified when the child gets used to be spoiled limitlessly and cannot truly appreciate the support directed at him. He or she can become unthankful, impolite and take being the center of attention as granted. 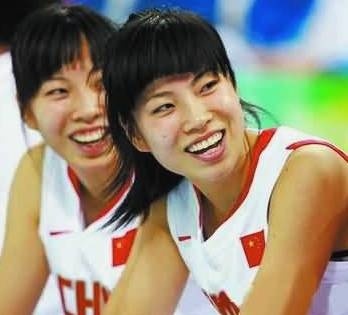 Twins 双胞胎 - The best way to avoid the single child policy and secure competitive offsprings. Taking things for granted, expecting to be spoiled for the rest of his or her days and not truly getting the importance of hard work. Self discipline could be lacking, the child on the one hand experiences the pressure expressed by his or her parents, but on the other side isn't full-heartily aware of the way to fulfill his or her ambitions. Or perhaps more correctly, the pressure he or she experiences doesn't leave enough space for the development of one's own sense of discipline, according to one's personal character traits. No wonder parents are so concern. What will be the next steps? Discipline might be a problem, but also adjusting to a reality where he or she isn't the emperor, not even a minor minister. The dissonance between the home atmosphere and the school, college or work spheres sometimes results in adaptation problems, making the singleton unable to compete or fight his or her way to a better position. Researches show that in terms of intelligence, singletons often have an advantage over children with many siblings, though in terms of self discipline and understanding the importance of putting endless efforts in order to reach success, the latter often have the advantage. Please note that this article states the common stereotypes about the spoiled character of singletons in China. It doesn't attempt to provide an authentic or full picture. Clearly, we don't wish to mock members of the new singleton generation, whose main fault (or fortune) is coming into being under very special conditions. Assisting Source: Vanessa L. Fong. Only Hope: Coming of Age Under China's One-Child Policy. Stanford University Press, 2004, 256 pp. • Breaking the 4-2-1: How does China react to the permission of a 'second child' for parents who are both singletons?